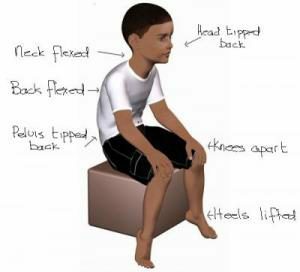 The term hypotonia is often used to describe children with low muscle tone, yet it remains abstract and undefined. So many children today are diagnosed with “low muscle tone “. What is low muscle tone? How can it be described and identified? How does it influence a child’s development? What are the characteristics of hypotonia? The following research report identifies some of the characteristics of children with hypotonia. The term hypotonia is often used to describe children with reduced muscle tone, yet it remains abstract and undefined. The purpose of this study was to identify characteristics of children with hypotonia to begin the process of developing an operational definition of hypotonia. 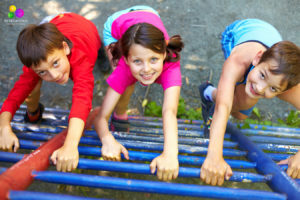 Three hundred physical and occupational therapists were systematically selected from the memberships of the Pediatric Section of the American Physical Therapy Association and the Developmental Delay Section of the American Occupational Therapy Association and asked to complete an open-ended survey exploring characteristics of strength, endurance, mobility, posture, and flexibility. The response rate was 26.6%. Forty-six physical therapists and 34 occupational therapists participated. The criterion for consensus about a characteristic was being mentioned by at least 25% of respondents from each discipline. The consensus was that children with hypotonia have decreased strength, decreased activity tolerance, delayed motor skills development, rounded shoulder posture, with leaning onto supports, hypermobile joints, increased flexibility, and poor attention and motivation. An objective tool for defining and quantifying hypotonia does not exist. A preliminary characterization of children with hypotonia was established, but further research is needed to achieve objectivity and clarity.